To help you better understand what TeddyCan is, please see below. For more information about each item, please click to read more. The TeddyCan Blog takes an in depth look at the latest health and wellness trends, traveling and tourism information that is designed to add value to your traveling experience, and practical and applicable shopping discounts that will benefit any type of consumer. In other words, come to this blog for all things TeddyCan! TeddyCan is a simple and secure search engine designed to give you a deeper, more meaningful, and specific search result. We value your searches and aim to provide our users with results that are relevant and informative, in hopes that we meet any and all needs. TeddyCan Search can be used for a number of different reasons. Whether you’re looking for a rebate for an allergy test, or an original article to help strengthen research, TeddyCan has you covered. We take what Google might show on page 15, and as long as we think it is reliable and accurate, TeddyCan will show you on page 1. TeddyCan shopping rebates are an amazing tool that all consumers should take advantage of. We offer a shopping service with opportunities to earn cash back rewards to some of the most attractive and prominent brands within the retail market. Our users can save money and receive discounts on just about anything you can think of; whether it be medical tests, financial services, or even cosmetic products, somehow, someway, we have a discount waiting here just for you. Having trouble with a homework question? Do you need supplemental help in an elaborate class such as accounting? If so, TeddyCan offers a form of tutoring where you have access to online help for homework including numerous amounts of college courses with an actual live tutor. Not only are these tutors fast and friendly, but also they will make sure that your question is answered and you understand WHY. To add even more versatility to TeddyCan, we offer our visitors an assortment of apps and tools that can aid in many different functional areas. Looking for a password generator? How about a mortgage and loan calculator? A Sudoku puzzle did you say? Chances are we have a tool or app that will fit at least one of your important and appreciated needs. 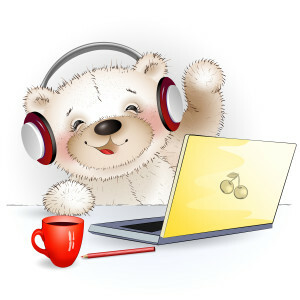 We at TeddyCanBlog encourage our readers to explore TeddyCan and all it has to offer. It is a search engine for the people so please let us know your experience as we are forever improving. Our goal is to provide you with effective and efficient results, no matter which course of action you decide to take! Be sure to keep checking in on our blog for all things TeddyCan! TeddyCan.com is a deep reSearch engine sharing profits with you, keeping your searched text private. We help you to search, shop, share and learn. Did I tell you we do not track, and your searched topics do not follow you around the web? Yes, try us out today! So often when you have a medical question, you go to a search engine and enter in your question. For example, “How do I know if I have allergies?” And this search will return EVERYTHING UNDER THE SUN. Those results are showing up basically because those sites have money to create a buzz. That’s not the case at TeddyCan.com. We bring you the results that are good irrespective of their social media buzz or marketing budget. We don’t stop with giving you the REAL unbiased results. We take it a step further. We also provide you with providers of tests and products that offer a discount to you. When you click on those deals you save a %, sometimes as high as 25%, on those items! A division of TeddyCan is Tutor Teddy. Tutor Teddy offers help to college students on a variety of subjects. In today’s world 50% of college students never graduate. We at Tutor Teddy offer the tools to help students succeed. And the best part is we let you try it for FREE first! It is our goal to offer you the best results for your search, not results that are driven by advertising or sponsors.